It may seem we are spoilt for choice these days on line when it comes to buying an ink cartridge on-line. There are so many businesses supplying ink and toner on-line it is hard to decide which one to buy from. 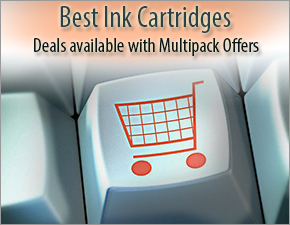 Here is a guide that will help you when buying an ink cartridge on-line for the first time. The words or phrases you use for searching for ink cartridges on Google will determine what result you get from Google. If you search ‘ink cartridge’ this will bring up every ink seller on the Internet with the generally most popular sites at the top of the list. These will generally be the sites that most people are buying their inkjet cartridges from and will probably be the biggest sellers of your ink cartridges. The names that are located in the shaded area at the top of the page are the sponsored links and pay Google for the privilege of being there. This can work two ways, firstly it gets them seen by you when you search for a particular term as in this case ‘ink cartridge’ and secondly are their products may be slightly more expensive because they’re paying Google. In general though, supplying ink cartridges is such a competitive business that they have no choice but to be as cheap as their competitor. Consider narrowing your search down using the brand you require, for example, Canon ink cartridge. This will bring you up a list of suppliers that only supply Canon ink cartridges. You can go one step further by putting in the model of the printer or inkjet cartridge number. The more you put into the description the more you accurate Google will become. If you need the ink in a hurry you may want to get the ink cartridge from somewhere in your local area therefore you could select to search for ink cartridges in Dublin. Whether you are searching for ink cartridges in Cork or Dundalk it rarely matters where the location is as most of these on-line suppliers offer next day delivery anyway. Try to get the best deals on-line using the Google search engine. The Google search words or phrases you enter should bring up the companies with the best deals for ink cartridges and these usually take the form of multipacks. If you have searched for ‘ink cartridge in Dundalk‘, chances are that you will bring up a supplier who is offering multi-pack deals on their ink cartridges although they may not necessarily be based in Dundalk but offer next day delivery, which is ‘as good as’ for you. These deals will usually be ink cartridges at a great price with either a free ink cartridge or free delivery – very rarely will you get both! However, the on-line suppliers are keen to get your repeat business so may offer you on-going deals in return for your first order! Any on-line ink supplier will value your first order, as it is a valuable way of contacting you in the future for repeat business. Stelalr work there everyone. I’ll keep on reading.